Spoiler alert: They’re gonna’ kiss. Want to know why we think children’s bookstores are so great? Check out our top three reasons right here! Children’s bookstores are filled with books. And books are pretty amazing for your kids’ language development, literacy skills, imagination and lots of other stuff. 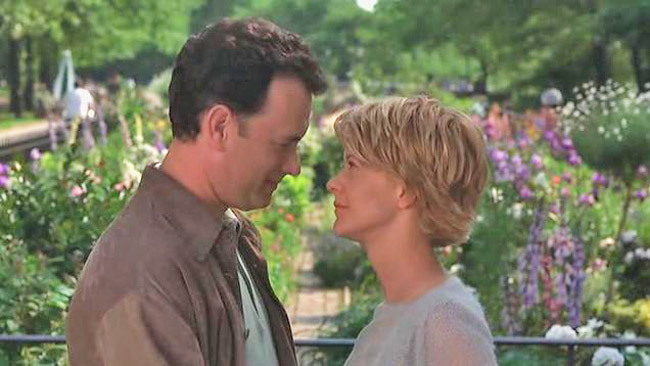 A children’s bookstore was directly responsible for Tom Hanks and Meg Ryan getting together in at least one classic, 1990s romantic comedy flick – which the Doctor could watch happily on a continuous, endless loop. 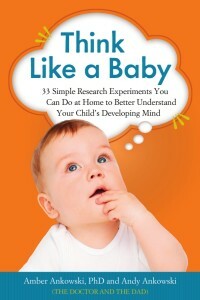 We’re going to be at one tomorrow, Saturday, April 11, from 2:30–3:30 pm talking about and signing copies of our new book, Think Like a Baby! If you’re in the Los Angeles area, please come by and see us! For more details about this and our other upcoming events, check out our Events page now!